Companion to yesterday’s photograph. 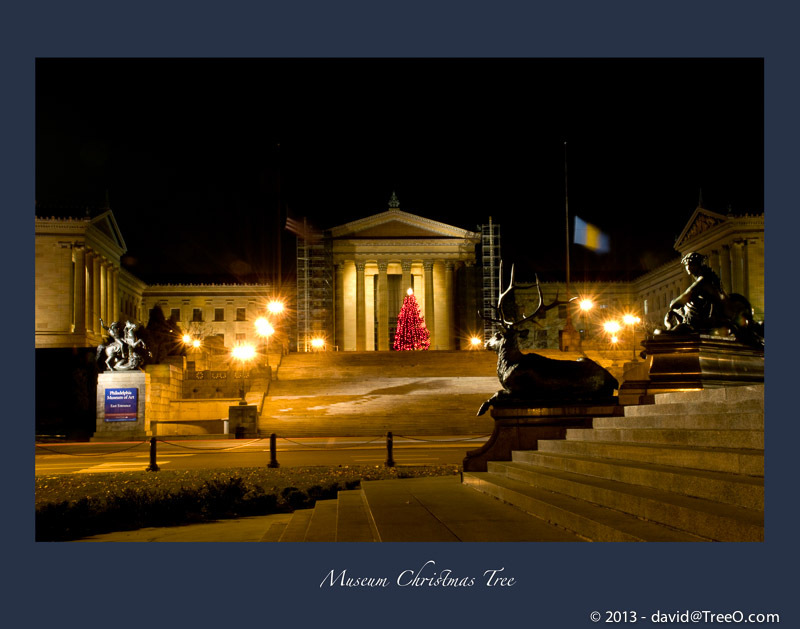 Eakins Oval, Benjamin Franklin Parkway on the Monument steps - night view of the Philadelphia Museum of Art at around 1:50 AM, December 4, 2008. As you can see by the scaffolding, they are renovating the building. I love the way the bronze sculpture of the stag is looking at the tree.